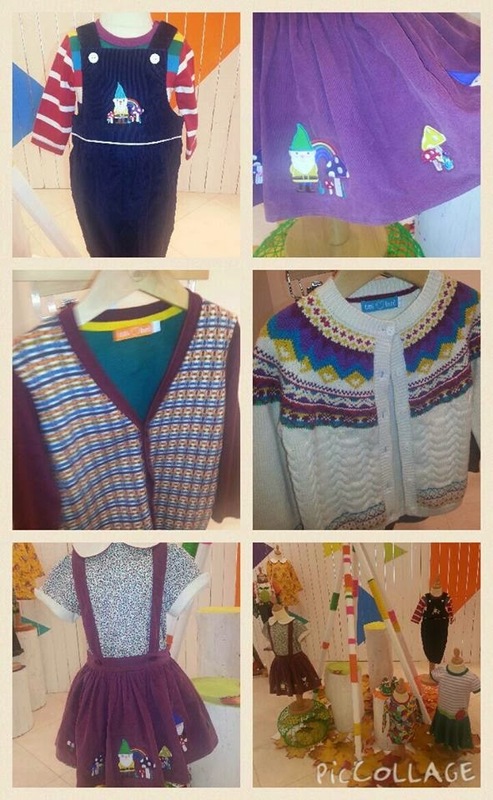 Today I was given the great opportunity of attending the Mothercare Autumn/Winter press show to preview their collections that will be coming up from August/September 2015. There was lots to see and I took so many photos of all the products there. 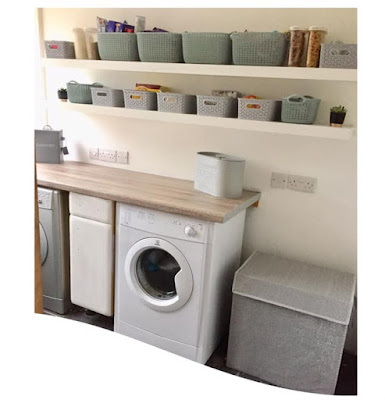 In this blog post I am focusing on the very popular Little Bird range by Jools Oliver for Mothercare. This new Autumn/Winter collection is bigger than any previous seasons Little Bird collection. 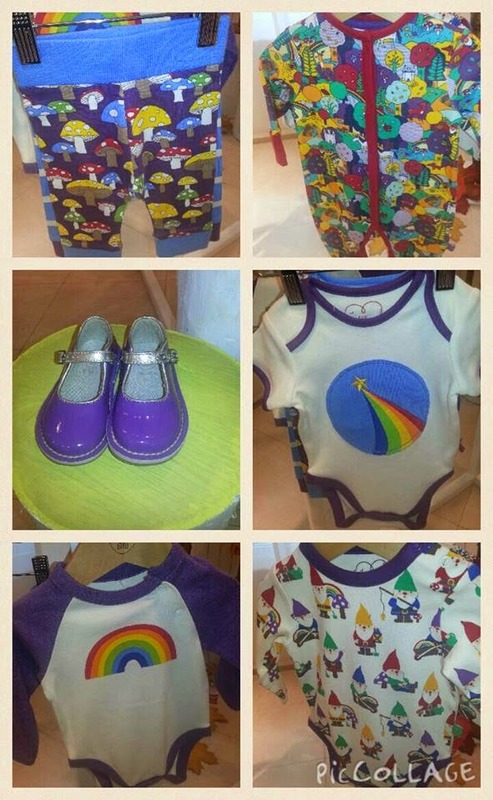 Packed full of colourful, retro style clothing for babies through to children it features a mainly unisex collection with key items for both boys and girls. 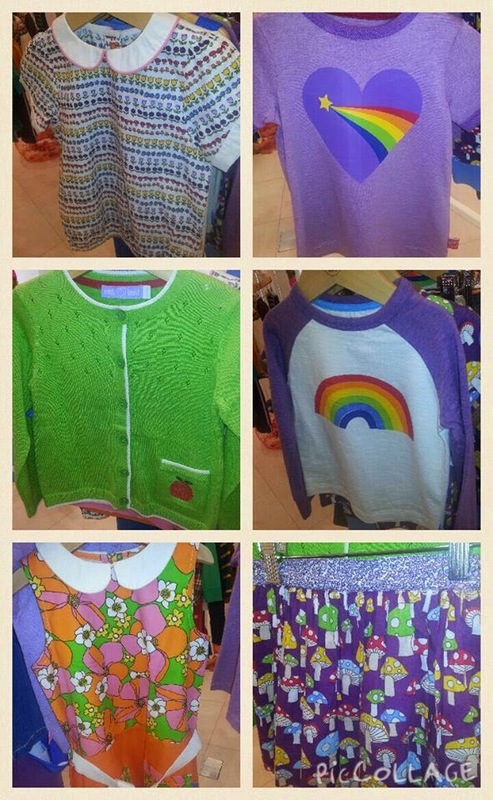 I noticed a pop of purple on a few pieces as well as the popular rainbow prints and stripes on other pieces. A couple of items feature gnomes which are key this season and are very cute indeed. Lots of purple featured on the clothing. 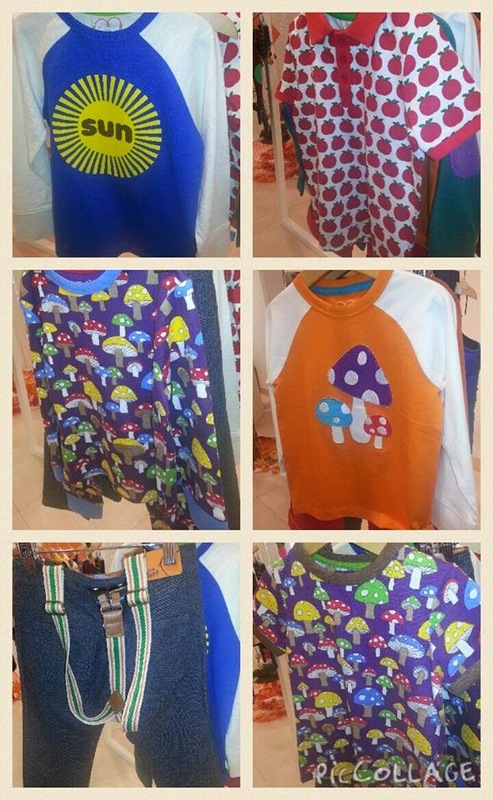 Including the mushroom print on a t-shirt, pyjamas and a skirt, rainbow top and Peter Pan collared top. New key shapes are also introduced with flared dungarees, scalloped edge Peter Pan collars, a skater dress and a longer length skirt. 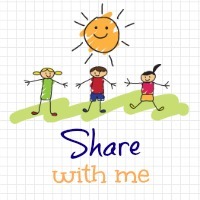 Graphics have been updated to feature apples and pears and a new retro mushroom print. Must have new accessories are the purple and gold buckle and bar shoes and coloured pellegrine tights. The new green satchel with bold apple graphic is expected to be very popular indeed and is suitable for both child and parent with an adjustable rainbow strap and carry handle. 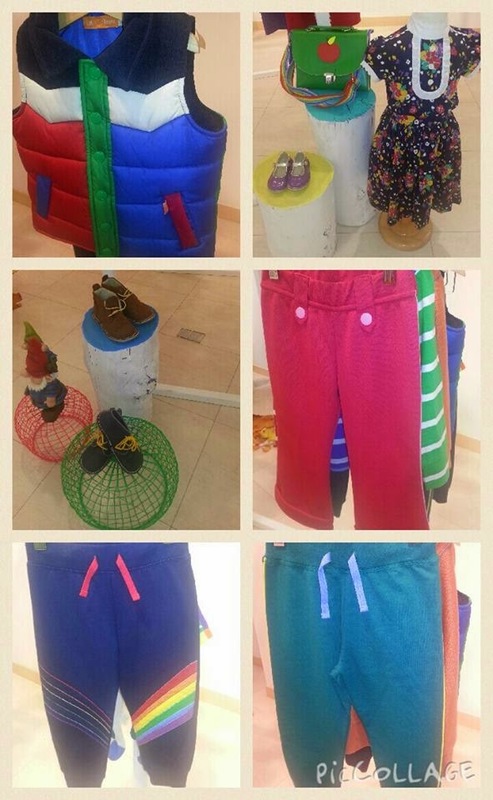 A padded gilet, jogging trousers and flared trousers, boys boots and the green apple satchel. The baby collection returns and includes bodysuits and all-in-ones that continue the same retro inspired prints from the toddler collection. New additions include matching bib and legging sets. 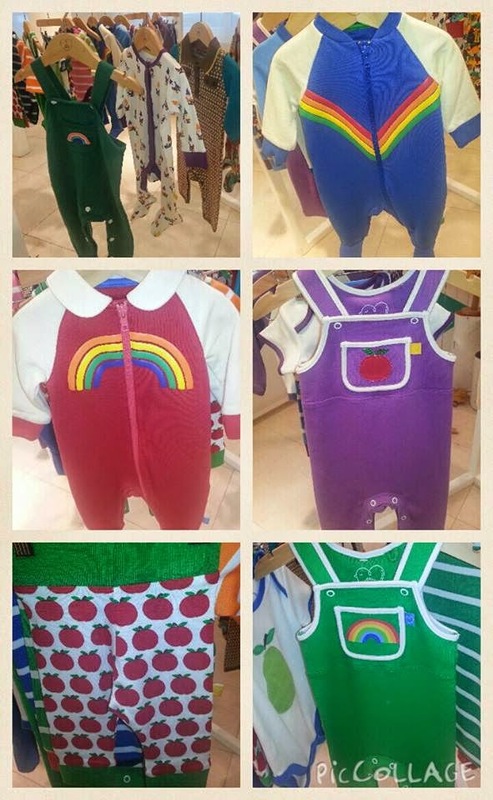 The Little Bird baby collection including bodysuits, all in ones, dungarees and leggings. 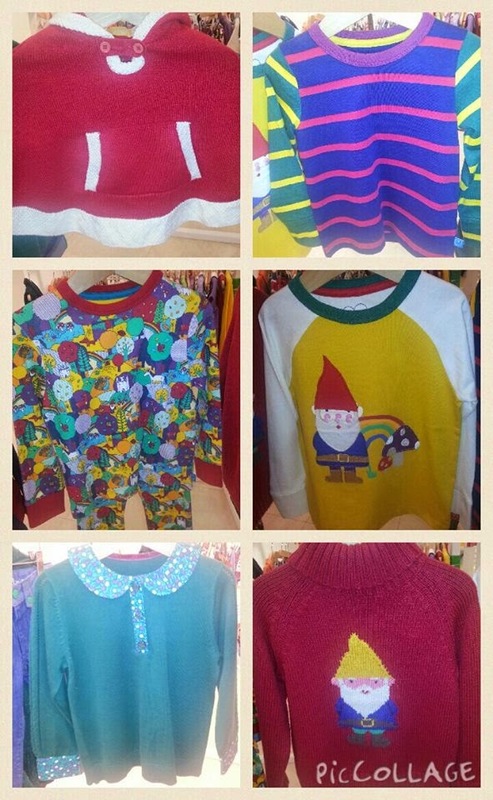 The Winter collection sees the cutest retro gnome prints and a new take on a traditional Christmas jumper. 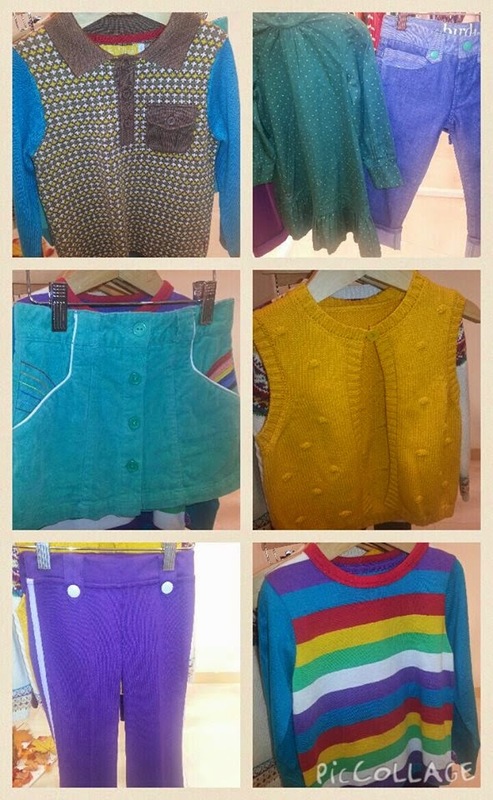 New styles are also introduced with a cardigan and a cape option. Lots of items in these pictures that contain the gnome detailing. I absolutely loved the floral top and purple braced skirt set. 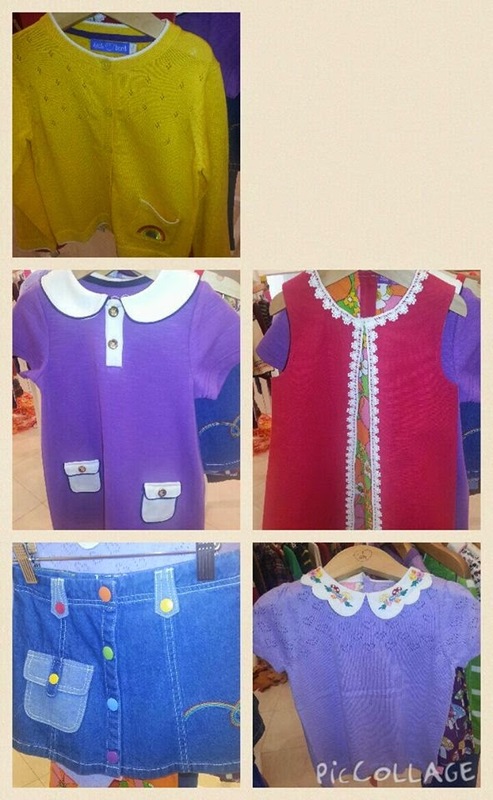 Lots of trousers, long sleeved tops, a gorgeous knitted tank top and yellow sleeveless cardigan plus other items. I can't wait for the new collection. We are huge Little Bird fans in this house and already have a few key pieces from the Summer collection and there was lots that I saw today that will be essentials for our Autumn/Winter wardrobe too. Keep an eye on the Mothercare website for it to arrive in a few months time. 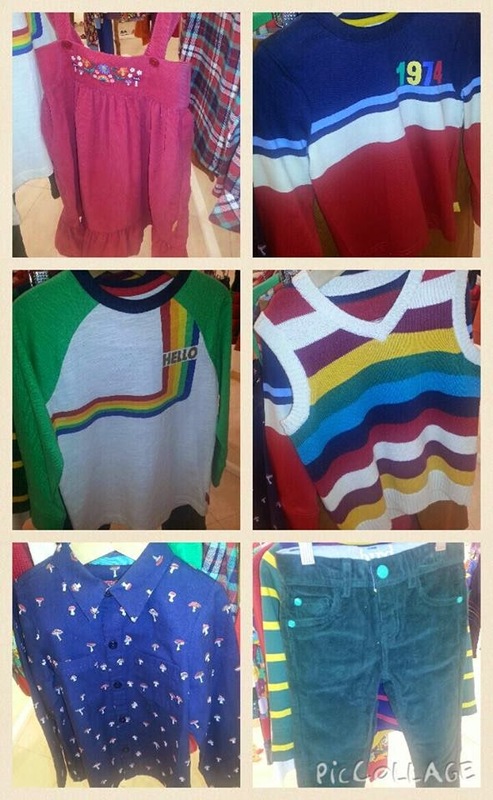 oh wow i love the rainbow stuff such cool things i think i need to head to mother care for a shopping spree soon!